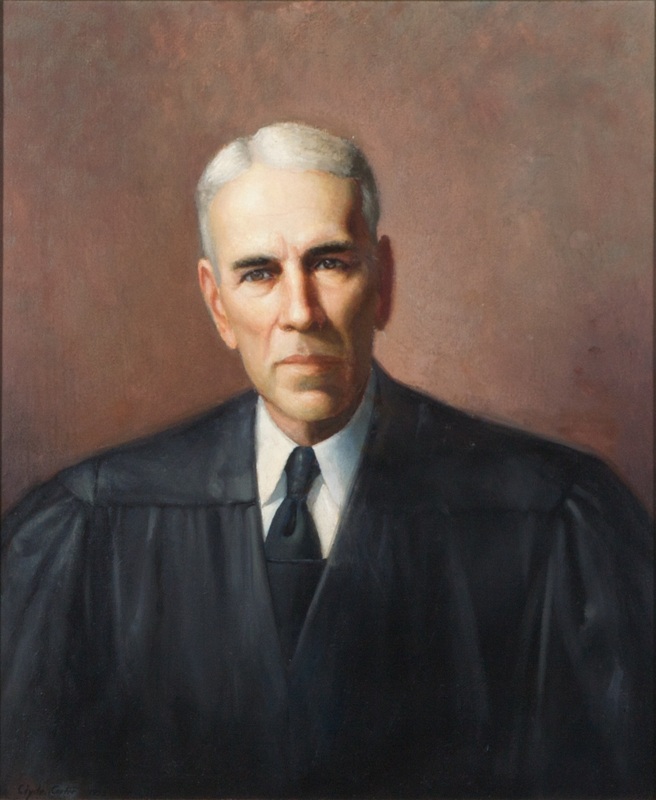 Appointed by Governor John S. Battle on January 25, 1951, to fill the vacancy created by the resignation of Abram Penn Staples and began his service on February 15, 1951. Elected by the General Assembly on January 22, 1952, to complete the unexpired term of Abram Staples. Elected on February 26, 1954, to a 12-year term beginning February 1, 1955. Service terminated by death. Appointed by Governor John S. Battle, “Article 4, No Title,” The Washington Post (1923-1954) [Washington, D.C.], January 26, 1951:14; qualified, 192 Va., iii; elected, Journal of the House of Delegates of the Commonwealth of Virginia, 1952 Regular Session, 106; elected to a 12-year term beginning February 1, 1955, Journal of the Senate of Virginia, 1954 Regular Session, 553; “Smith Invested As New Justice,” The Washington Post (1923-1954) [Washington, D.C.], March 6, 1951: 20; died, 198 Va., iii; birth, education, and career, transcript of memorial and portrait presentation on March 4, 1957, published in 198 Va., cxli-cxlix; and W. Hamilton Bryson, “Lemuel Franklin Smith, University of Virginia, 1950-1951, Virginia Procedure,” in Bryson, Legal Education in Virginia: A Biographical Approach, 1779-1979 (Charlottesville: University Press of Virginia, 1982), 577-579; portrait, Ray O. Hummel, Jr., and Katherine M. Smith, Portraits and Statuary of Virginians Owned by the Virginia State Library, the Medical College of Virginia, the Virginia Museum of Fine Arts, and Other State Agencies (Richmond, Va.: The Virginia State Library, 1977), 112.